Wow, wow, wow!! You ALL amazed us with your brilliant interpretations of the Friendship challenge! So much thought, creativity and attention to detail went into each of your projects which made it really tough for us to choose two winners! But, of course, we did, and here they are! Outstanding work, ladies!!! You’ve both won a $25 Avery Elle Gift Certificate for your spectacular efforts! Please watch your inbox for an email from me with more information about your prize! We couldn’t let our last challenge go by without recognizing a few wonderful runner up projects, all of which were beautifully created and answered the challenge in a brilliant way! Aren’t they all wonderful? I mean, truly. We are so thrilled that you all played along with our challenge. Well, friends, that’s it for us today. Normally, I would say please come back tomorrow for the next challenge. But if you saw our announcement from yesterday (you can find it HERE), you already know that the AEI♥U Challenge is going on a bit of a hiatus. We’re excited to change things up a bit, while still featuring and focusing on our wonderful customers’ work using the Avery Elle product line! Fun things are ahead for Avery Elle, so I hope you’ll follow us on Facebook, Instagram, Pinterest, Flickr, YouTube and Twitter for all the latest Avery Elle happenings! 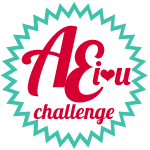 Again, thanks so much for being a part of the AEI♥U Challenge – we sure do appreciate you and all that you’ve done to make the AEI♥U Challenge a fun place to hang out and be creative! Oh my goodness!!! Thank you so much! What an honor! All of the entries in the gallery were so incredible!! Congrats to Jinny and all of the fantastic runners up too! Can't wait to see what fun and exciting things Avery Elle has in store for all of us in the near future!!! Yay! Thank you so much for naming my card a winner! HUGE congrats to Lisa and ALL the runners-up, too! It's even more special being that it's the last challenge. I'm not on Facebook. So, unfortunately, that leaves me out of an awful lot of social media outlets, but I'll try and find you elsewhere. Maybe, I'll have to update my Flickr account. It's been awhile ;). Thanks for all you do, ladies! LOVE Avery Elle! 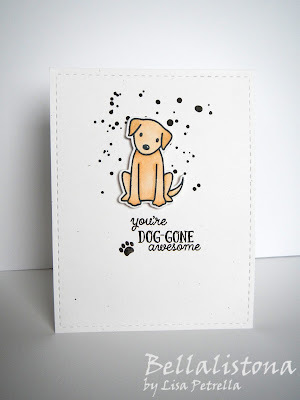 oh, wow, thank you so much for choosing my card to be a runner up! this was the first time, and now last, i played along. congrats to jinny, lisa and all the runners up! i'm not on Facebook either, but i'm following the blog. These are all super fun, what wonderful creations! I am thrilled to be a runner up! Dude! I didn't know that was you!! So cool! I loved your project!! Thanks so much - I'm glad to have played along, and I hope this challenge will return soon!